Baby J has been having a blast with the Tub Time Turtle that Nûby sent us to review (he finally figured out how to use the turtle as a waterfall, btw). 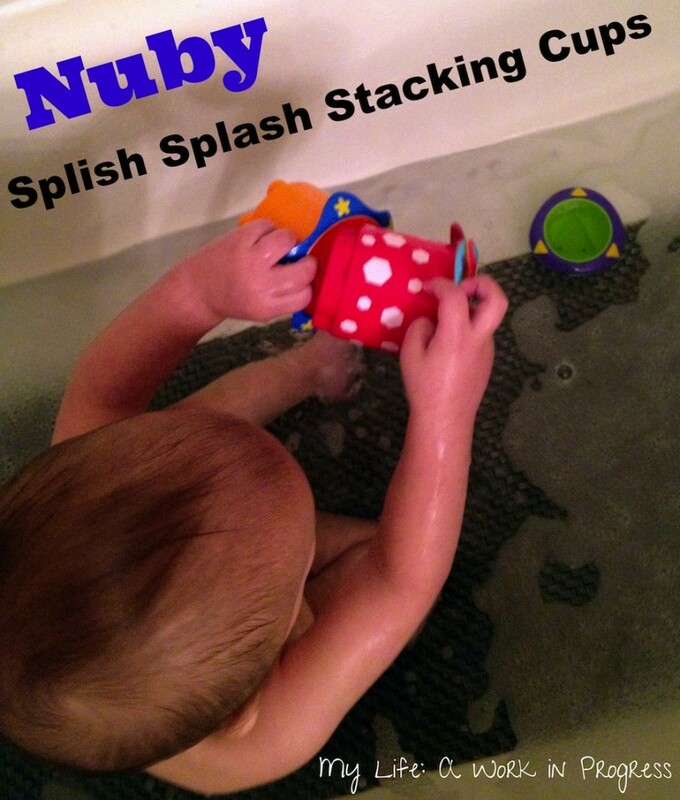 We also received a set of Nûby Splish Splash Stacking Cups for the bathtub. These bright, colorful stacking cups are BPA-free and come in packs of five. Each cup coordinates with the others in the set, both by pattern and size. The cups are designed from small to large, so your little one can stack them inside of each other. The holes on the bottom of each cup let your baby or toddler make fun waterfalls. Turn bath time into a learning experience, by pointing out the colors and shapes. The cups even have different shapes on the bottom: square, triangle, circle, etc., so there’s no shortage of ways to learn. The Splish Splash Stacking Cups are functional as well as educational and can be used to rinse shampoo or soap off your child. First of all, these cups are great out of the bathtub too! One of the cups was actually misplaced for a few days, because Baby J had absconded with it into his bedroom. I eventually found it under the spare bed in there. While bathing, Baby J loves to use the cups to catch water and make waterfalls. He also chews on the cups, so good thing they’re BPA-free! I’ve been pointing out patterns and colors to him, but I’m not sure how much he’s actually taking in yet. We’ve been working on stacking them, and he’s getting better at it. 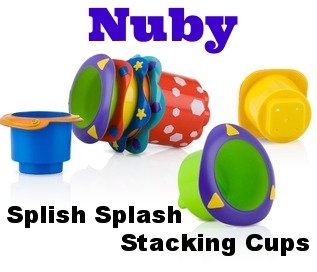 The stacking is something you can do with these cups anytime, not just during baths. Baby J’s favorite thing to do with these cups, whether in the bathtub or out, is to bang them together and make noise! 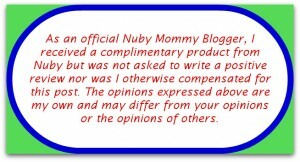 For updates on new Nûby products, follow them on their social media accounts (listed below). They’re currently having an ultrasound photo contest! Visit them on Facebook to learn more details and to enter. My daughter always loved to play with cups! The designs on these are so fun!